Once again my family gets the opportunity to review something very cool! 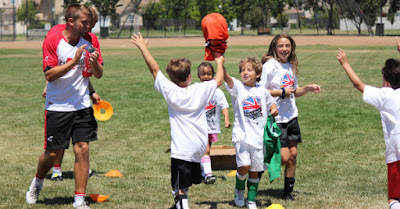 I get to enroll Samuel in a British Soccer Camp this summer, and he LOVES soccer so this is very exciting! 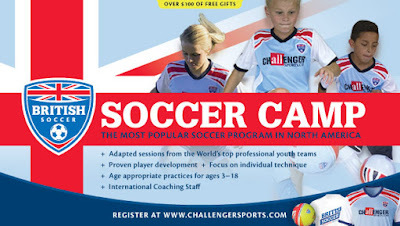 Thank you to US Family Guide and British Soccer Camps! British Soccer Camps are the most popular soccer camp in the US. 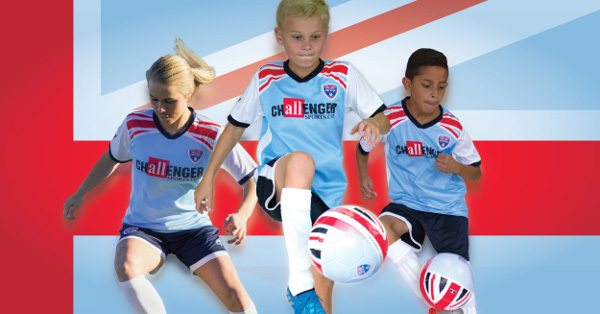 With an innovative curriculum that develops skills, speed and confidence in players ages 3-18, The British Soccer Camp provide boys and girls with the rare opportunity to receive high-level soccer coaching from a team of international experts right in the heart of their own community. In addition to teaching new skills and improving game performance, each British Soccer Camp provides lessons in character development, cultural education and is the most fun your child can have learning the sport they love!